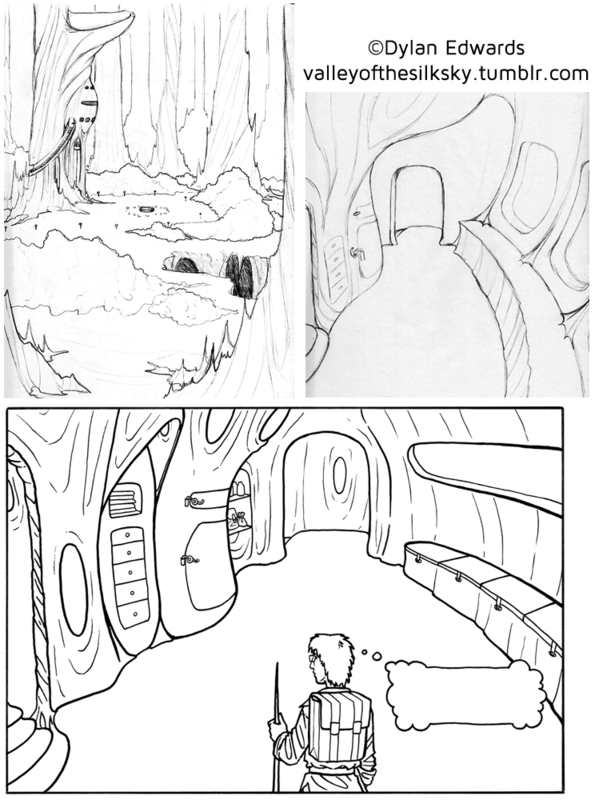 Here’s the original concept art for the Cashel Waystation, as well as the inks for our first peek at the interior on page 21. As you can see, this ended up being very close to the final design. Sometimes it takes several rounds to work out the look I’m going for, but with the Cashel Waystation, things fell into place pretty quickly. It helps when I have a very clear idea of how I’ll need to move the characters through the space, so I know where to block them and where to give them passage.